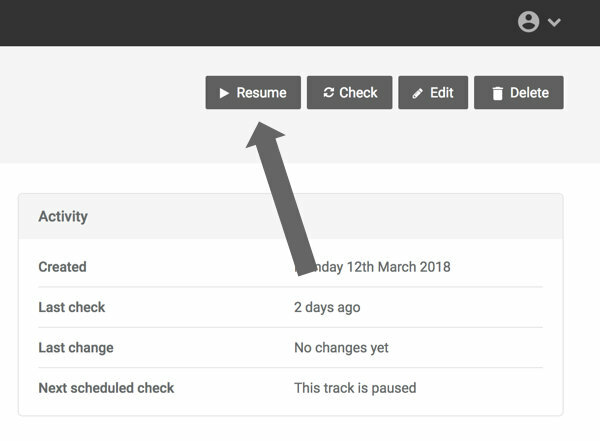 You are tracking a page and it errors in Trackly, but when you look at that exact same page in a browser it works fine! We understand - this can be super-annoying. Trackly will try and check the page again. If it switches to running - all is good - you don't need to read any further! If you're still here you must still have an errored track. But it works fine in your browser. What gives? This can happen for a number of reasons but the most likely is that the website is denying Trackly access. The truth is that some sites don't really like being looked at by anything other than real warm human beings! Trackly is a big server in a data centre and sometimes websites can figure this out and deny Trackly permission to view pages. We go to some trouble not to look too 'bot-like' by being very respectful of sites and not causing them too much load - but sometimes that's not enough. By the way, this is one of the reasons our most frequent checking interval is hourly - we don't want to hit sites with too many requests.